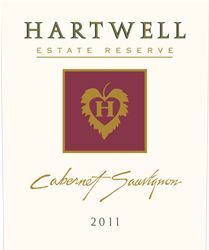 Hartwell Estate Vineyards is located on the west side of the Silverado Trail in the heart of Napa Valley's Stags Leap District. Recognized as part of the "Cabernet Country," our vineyards yield powerful and concentrated wines that are enormously rich and impressive. Our library wines are one of the many special treats only available on the website. To join the wine club, visit www.hartwellvineyards.com or call 707-255-4269. Limited wine club membership/mailing list.